Design, manufacture and testing of joints for representative coupons and a demonstrator structure. Stepped lap joint testing: The investigation into embedded spike geometry demonstrated the benefit of triangular section – shark’s tooth shape. The tensile strength of these joints is exceptionally high and insensitive to the resin bonding strength. 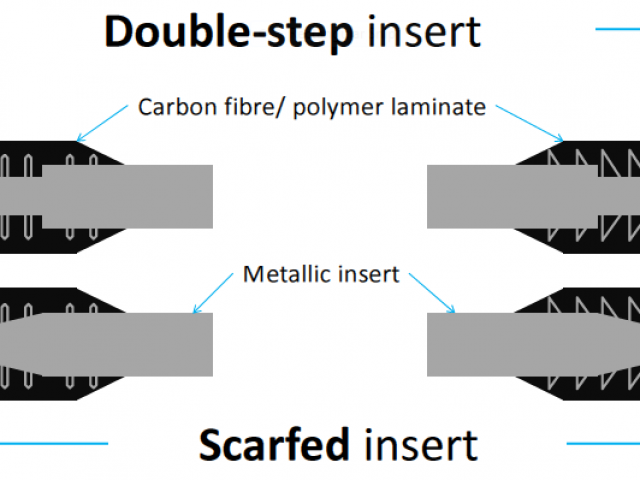 A comparison of stepped plate and scarfed joint showed a substantial strength benefit for scarfing, but the lay-up procedure was very difficult. Consequently the stepped plate design was selected. 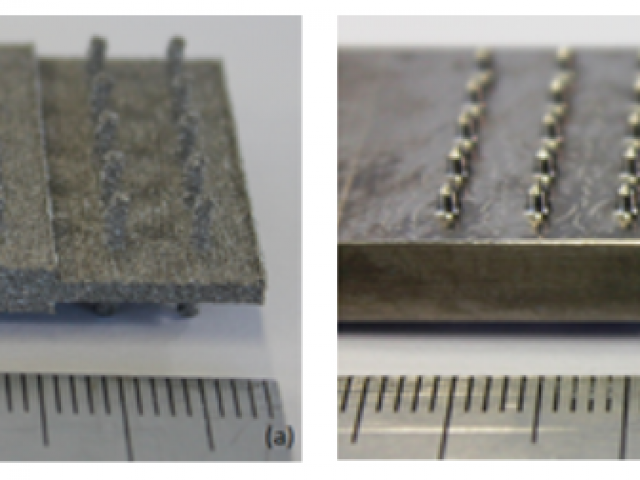 Assessment of insert manufacturing techniques: The strength of Ebeam melted ALM type pin manufacture and micromachining showed near equivalent strength, but a cost analysis showed a strong benefit of micromachining. The availability of equipment provides another benefit for the machined approach. Film adhesive assessment: The strength benefits of film adhesive and embedded interface tougheners, such as thermoplastic veils, are being assessed for their ability to provide ‘tough’ joint failure. Fittings for bending and peel loading: The second set of fittings are being designed to measure peel failure though bending or through thickness tension which normally require bolting. A set of test elements to measure spike pull out rather than shear off has been designed. A test fixture for 45 and 90-degree fitting test is being manufactured.